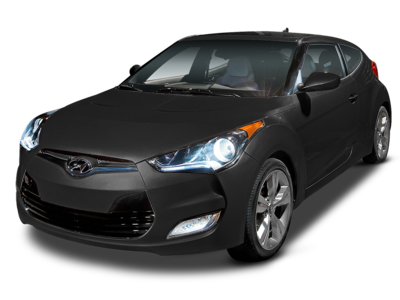 The 2015 Hyundai Veloster ranks tenth for Best Under $20,000 Hatchbacks. Current inventory meeting this criteria averages 33,185 miles. Fuel economy is rated at 30 MPG combined. Take a look below to find the Veloster in your area that suits you best! 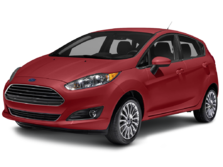 Slotting in at ninth for Best Under $20,000 Hatchbacks is the 2015 Ford Focus. Current inventory meeting this criteria averages 33,029 miles. 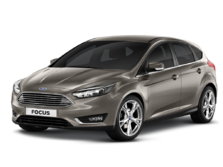 The 2015 Focus achieves a combined MPG figure of 31. Take a look below to find the Focus in your area that suits you best! The 2017 Chevrolet Cruze is number 8 in our list for Best Under $20,000 Hatchbacks. Current inventory meeting this criteria averages 6,459 miles. Fuel economy is rated at 31 MPG combined. Scroll down to see available inventory for 2017 Cruzes in your area. The 2011 MINI Cooper is number 7 in our list for Best Under $20,000 Hatchbacks. Current inventory meeting this criteria averages 68,964 miles. The 2011 Cooper achieves a combined MPG figure of 31. Scroll down to see what inventory is available in your area - hurry, before these great deals sell out! Ranking sixth for Best Under $20,000 Hatchbacks is the 2015 Mazda MAZDA3. Current inventory meeting this criteria averages 29,434 miles. Fuel economy is rated at 32 MPG combined. Scroll down to see what inventory is available in your area - hurry, before these great deals sell out! The 2016 Honda Fit is number 5 in our list for Best Under $20,000 Hatchbacks. Current inventory meeting this criteria averages 14,508 miles. Fuel economy is rated at 34 MPG combined. Scroll down to see what inventory is available in your area - hurry, before these great deals sell out! The 2017 Nissan Versa ranks fourth for Best Under $20,000 Hatchbacks. Current inventory meeting this criteria averages 7,932 miles. Fuel economy is rated at 34 MPG combined. Scroll down to see what's available in your area right now. Slotting in at third for Best Under $20,000 Hatchbacks is the 2014 Lexus CT. Current inventory meeting this criteria averages 33,565 miles. Fuel economy is rated at 42 MPG combined. Scroll down to see available inventory for 2014 CTs in your area. The 2014 Toyota Prius ranks second for Best Under $20,000 Hatchbacks. Current inventory meeting this criteria averages 42,804 miles. Fuel economy is rated at 50 MPG combined. Scroll down to see available inventory for 2014 Prius in your area. The 2015 Toyota Prius c ranks first for Best Under $20,000 Hatchbacks. Current inventory meeting this criteria averages 30,292 miles. The 2015 Prius c achieves a combined MPG figure of 50. Scroll down to see available inventory for 2015 Prius cs in your area.